Experience and EducationMaster in Nursing, Masters in education with a BSN, DNP or PhD preferred. Minimum of Six (6) years experience in clinical nursing with progressive responsibility. Two (2) years experience in a nursing leadership role, Two (2) years experience in facilitating nursing programs. Demonstrated experience in writing, publications and/or presentation and visibility within the nursing community. Required: Certification in Specialty or Nurse Executive and current Texas Nursing License. Develop strategic plan for nursing education and professional practice across UT Southwestern Medical Center. 1a. Benchmark best transition to practice, educational, and professional development practices 1b. Provide nursing administrative oversight to nursing educational committees and/or councils. 1c. Plan, implement and evaluate nursing professional practice, evidence based practice, and nursing educational activities to promote the delivery of quality patient care and improved patient outcomes. 1d. Conduct annual educational needs assessment and use results to develop departmental goals and a plan in collaboration with the nursing executive team and in alignment with nursing department goals. Evaluate and revise goals and programs as necessary using focus groups and current literature. 1e. Assure that all standards and regulatory requirements are met for defined areas. 1f. Assist in design and implementation of innovative learning environments for the diverse workforce. 1g. Assess unit based educational offerings bringing together common programs that can be better served through a campus wide effort. Seek input from all stakeholders. Provide leadership, direction, mentorship and oversight for educational functions and the education staff. 2a. Promote, support and facilitate individuals engaging in nursing professional development, and activities to advance professional practice. 2b. Collaborate and develop innovative programs to educate and enhance the knowledge of nursing staff. 2c. Coordinate orientation programs for all clinical staff. 2d. Lead efforts to implement an infrastructure to maintain detailed records, track competencies, manage interactive professional development plans and support any time/any place access to educational materials. 2e. Coach and mentor new educators and developed an on boarding with measurements. 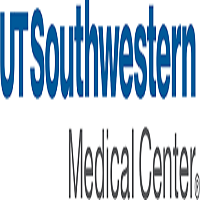 Develop innovative partnerships across the UT Southwestern campus and with schools of nursing to create and support entry into nursing and the development of life long careers. 3a. Coordinates the placement of all levels of nursing students 3b. Contributes to the academic and education community by collaborating with schools of nursing. 3c. Fosters an environment of continuous learning using evidence based practice. Initiate, monitor and meet a carefully thought out fiscal plan for nursing education, and professional practice. 4a. Manage the financial operation of the department to ensure productive utilization of staff and allocation of resources to assure focus and commitment to educational and practice. 4b. Participate in the development and management of unit based educators. Lead and promote staff engagement in decision-making using the Shared Governance model. 5a. Serve as advisor and facilitator of the nursing education and practice council. Coordinate, guide, lead and provides the support needed to assure council coordinates with and meets nursing departmental goals and outcomes. Role model for interdisciplinary practice. 6a. Collaborates with all hospital departments to identify educational needs and implement joint educational programs. 6b. Set an example of high level physician nurse collaboration in both education and professional clinical practice. Oversite and lead the clinical education of all staff that report up through nursing. Support and oversite for the patient care teach residency.